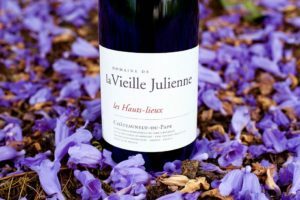 With only 6,000 bottles produced, the Les Hauts Lieux is a rare and fantastic wine treasure. Jean-Paul Daumen, the winemaker, selects grapes from the highest terraces in the vineyard Cabrieres, and uses no sulfur during the winemaking process, only adding a small amount immediately prior to bottling. Fermented in cement tanks and aged in large oak casks, this wine is meant to showcase place and region before stylistic winemaking choices. Soil: higher slopes facing North, made of a mix from Miocene, Helvetian and Villafranchienne. Influence of clay soils. Covered with pebbles from Villafranchienne terrace. Farming methods: certified organic, and biodynamic agriculture, vines are co-planted. Treated with copper and so2, organic herbal teas. Vinification: harvested entirely by hands. First sorting at the vineyard, second sorting at the cellar right after arrival. Natural years only, no SO2 added, fermentation for 20 days. Light extraction to respect the grapes. Elevage: 1 year in oak barrels and 6 months in bottles. Dense, luscious, and brooding, this wine has aromas of rich berry compote, candied rose petal, and fruit liqueur. On the palate, anise and black tea notes are accompanied by a graphite spine and boysenberry pie flavors, with a full bodied and voluptuous mouthfeel and a long, mineral finish. 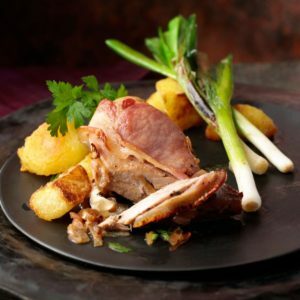 To enjoy with: Rich gamebirds like pheasant, guineafowl, or pigeon accompanied by caramelized roast carrots, potatoes, and beets are delightful when eaten next to a rich, full-bodied Chateauneuf Du Pape such as this. 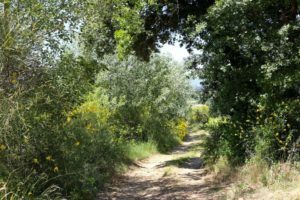 Parker comments and points: 93：More firm and backwards, the 2012 Chateauneuf du Pape Les Hauts Lieux is a longer-term prospect. Big minerality, dark fruits, iron, steel and licorice all emerge from the glass. On the palate, it’s medium to full-bodied, edgy and concentrated, with building tannin. Give this beauty 4-5 years in the cellar and enjoy through 2032. It should be one of the longest lived efforts in the vintage. 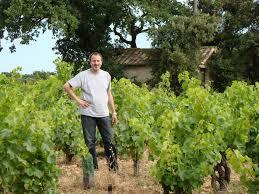 Jean-Paul Daumen continues to fashion some of the top wines of the vintage, in just about every vintage. We started the tasting with his 2013s and these have to be considered successes in the vintage. Finishing up harvest on October 17th, the wines have classic Vieille Julienne characters, as well as good concentration and ripe tannic structure. I think they’ll be some of the longest-lived wines in the vintage. Looking at the 2012s, these are stunning wines that show the more structured, age-worthy side to the vintage. While I normally prefer the Hauts Lieux, the 2012 les Trois Sources has more flesh and texture at this point. Either way, both are superb and warrant a place in your cellar. In addition, his Daumen label continues to offer serious bang for the buck.